Summer is well underway. 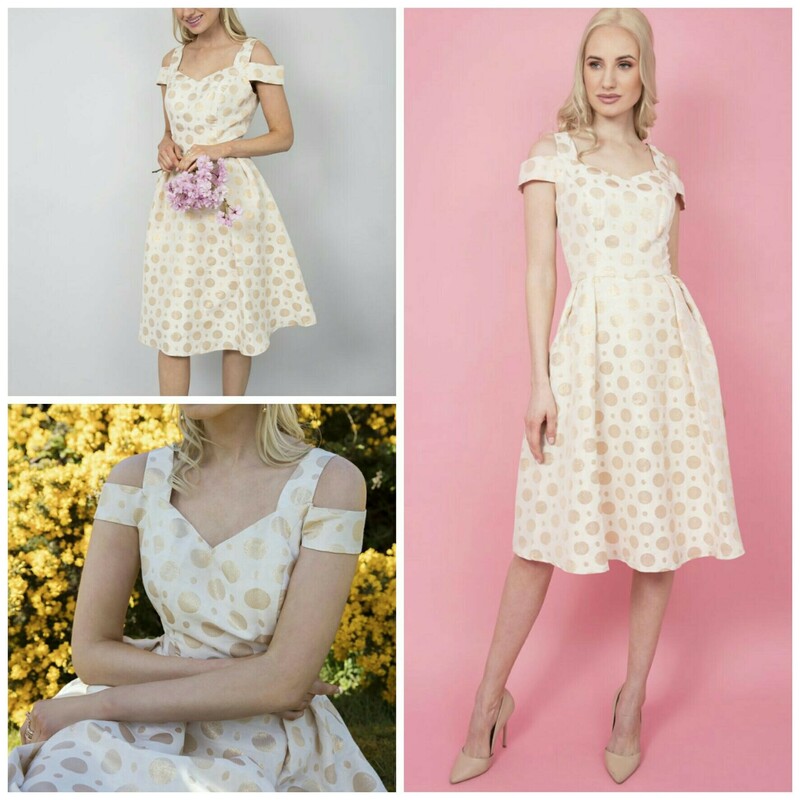 While the sun is still shining, I can’t think of a better time to immerse myself in the many dresses that are on the market! It’s time to take advantage of the seasonal style on offer by making brighter, bolder choices. I have carefully selected some of the best styles of dress in Bridgewater and they showcase summer in all its glory! This rust-coloured, floral-print wrap front midi dress can be found in New Look for only €29.99. 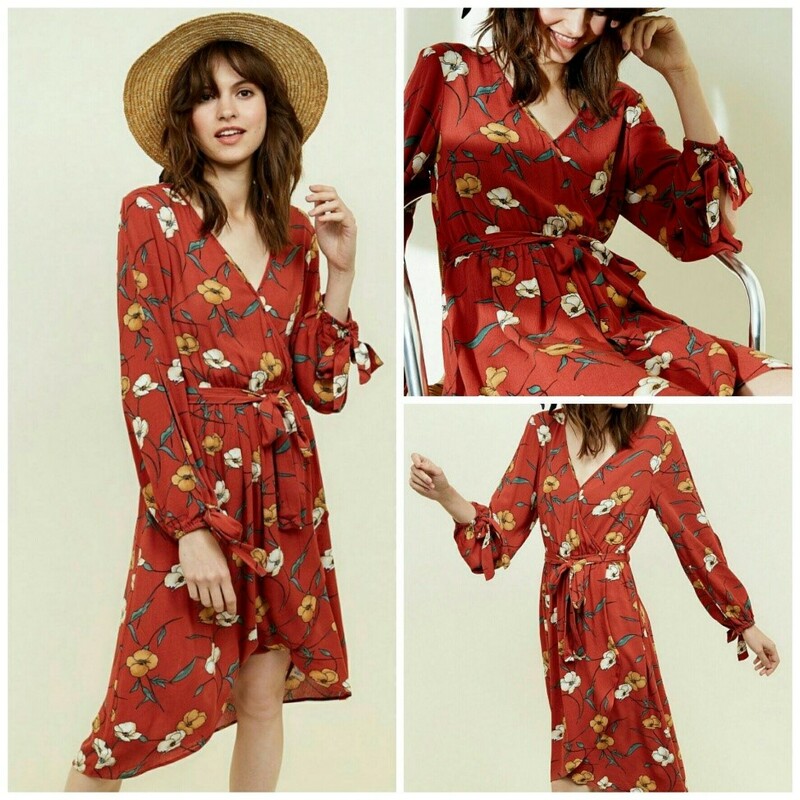 Throughout summer, enjoy wearing outfits inspired by the flowers in bloom around us – and this dress doesn’t disappoint with it’s intricate floral design! The wraparound style will hang loosely and comfortably on the frame, which is a win-win in my book! Next up is this showstopper from Carraig Donn! The Kelly & Grace brocade dress is the perfect party attire for all those summer gatherings. It holds both an elegant and sophisticated air with an off-the-shoulder cut, while the light colour palette lends an effortless air – both of which make it highly versatile. It is only €35.98, down from €89.95. Thank you for reading, enjoy the rest of your summer and make the most of it!